Valved Vacuum Adapter - ON SALE! - FREE Shipping! 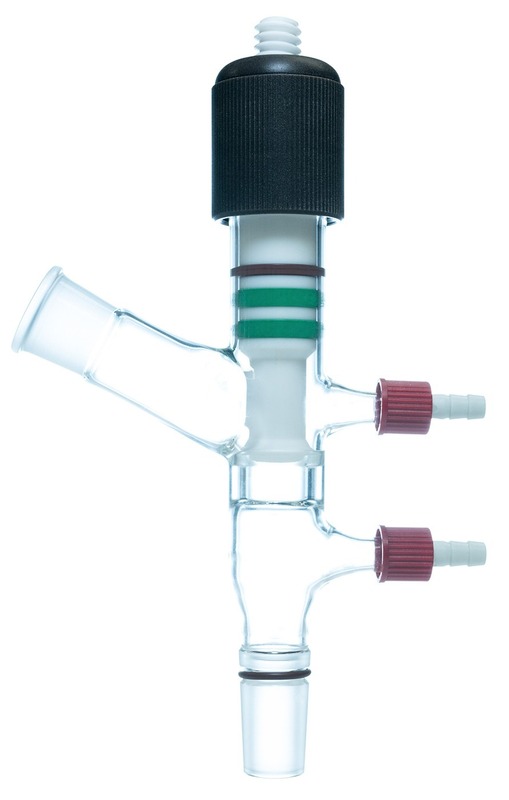 This Valved Vacuum Adapter allows the user to isolate the vacuum in a short path distillation system from the cow or receiving flasks of the system to allow the easy swap of the flasks. This adapter has 24/40 Joints with the male joint having a grease-less Viton O-ring seal which reduces contamination and mess for each fraction. It also includes 2 8mm GL-14 Hose Barb fittings with a PTFE threaded valve with Viton Seals.